The HyWITHER range has been designed with just that! A high wither and a clear spine, offering an excellent fit. The quality plain cotton squares are ideal for that smart competition look. 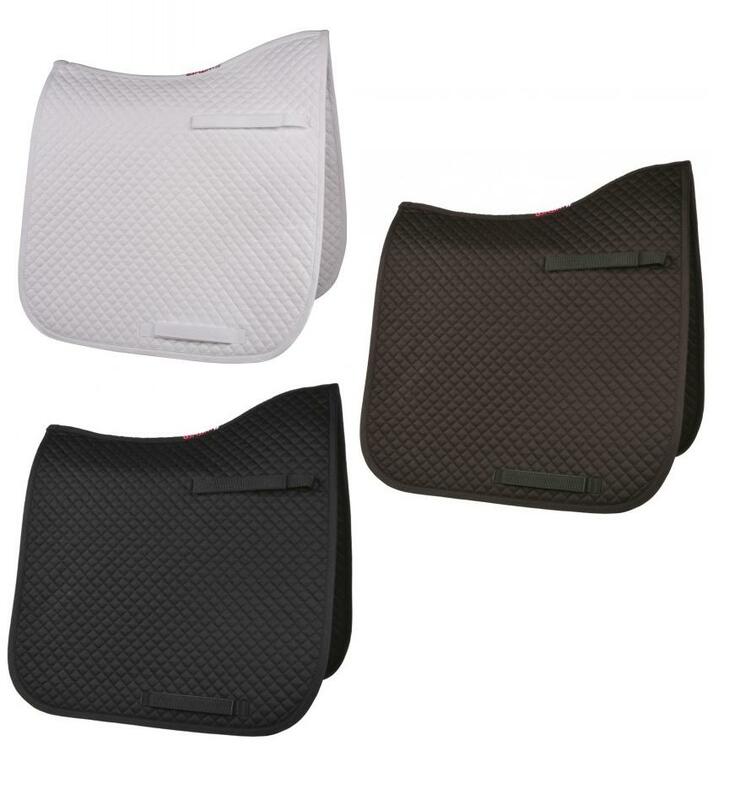 These saddle cloth’s are very durable and incorporate 1'' quality straps with velcro closures. Machine washable. 3/4'' diamond pattern. There are currently no questions for HyWITHER Competition Dressage Pad - be the first to ask one!